Matador capes There are 7 products. Original toy for our young bullfighters. 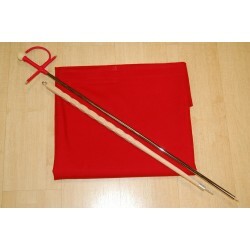 This pack is formed by a red cape, a holding stick and a fake sword. 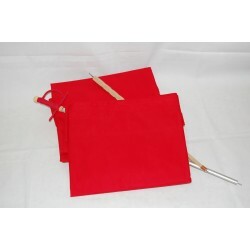 This pack is formed by a red cape, a holding stick and a fake sword for kids from 6 to 8 years old. Pack made for boys and girls that they are from 8 to 12 years old. 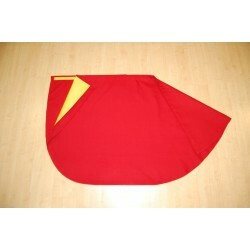 Authentic red cape made in our tailoring for bullfighters using high quality fabric. If you prefer it can be made in flannel too. 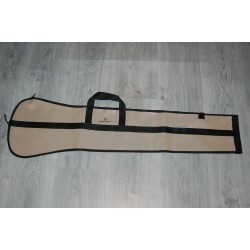 Its mesures are 1.85 mts x 1 mts. 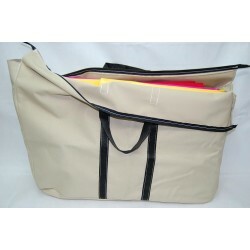 This bag is made with high quality canvas so it is resistant and durable. It has capacity for 2/3 capes and 2 red capes.